It's hard to believe that we're almost two weeks into the new year. Did you make any resolutions? Have you failed them yet? 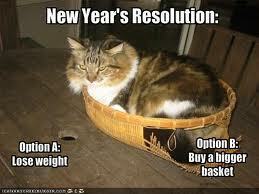 Perhaps it's time for options, if the resolution doesn't go quite as planned. I had a ton of writing resolutions for the new year. Like every writing goal I make, I think I plan a little more than I can do. It's not a bad thing, but it can be overwhelming. This year, I made lots of goals, but something changed about my perspective of them. I'm not sure what it was exactly. Maybe with age comes wisdom or perhaps I'm almost finished my second year as being a writer. Yes, that special anniversary comes tomorrow, but that's besides the point. I've come to realize it's the small changes that will add up more than any big changes I do. I wanted to write/rewrite three chapters a week in my 2009 NaNoWriMo novel, Virtuoso. I started out with high hopes. After all, I wrote the entire novel in 29 days, so how hard would it be to rewrite it in two months? It's much more difficult than I expected. I'm editing as I go. I'm slower in thinking about my words. How do I phrase this sentence? Should the scene diverge this way in the new version? I've come to realize that for a second completed draft, I want quality over quantity. It may take me a little longer to write it. I may only get two chapters written a week instead of three, but in the end, it'll be a much better novel. Who could ask for more? The key is in the little changes. Write a little bit a day, read a bit more, edit more. It'll get done if you are persistent and dedicated. Eat an apple with caramel instead of cookies. Or walk up the stairs once in a while instead of taking an elevator. No one runs a marathon the first week of exercise, so why should we expect to write the next best seller in a week either? We shouldn't. Great post! The little changes add up to big change. You're doing fine with your writing. Look how much you've accomplished. I think you're cruising on high speed to success! Oohhh kitty in a basket! I definitely need a bigger basket. So far, I haven't been keeping up with my writing goals, either. Thanks for the inspirational post and can't wait to read Virtuoso.